When a three phase induction motor has (1) delta connected stator windings for its normal running, and if (2) all the 6 terminals are brought out to the terminal box, than such stator windings can be connected temporarily in star formation also for the staring purpose. Such motors in star formation would draw 1/3 the staring current, compared to the starting current at delta formation. Once the motor reaches it’s near about the operating speed, the winding connection would be changed back to normal Delta formation. The requirement of restricted starting current is important, if the power supply system is weak (that is, the fault level of the system is very low) and the therefore comparatively large starting current of motor would cause unwanted voltage dips beyond the permissible limits of the power supply system. Starting torque in star connection would be 1/3 of the starting torque in delta connection. 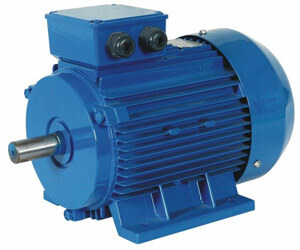 So to be checked if the driven mechanical equipment could be accelerated within the generated restricted torque. Normally, pumps and fans etc are kept under no load condition during starting and the starting process is used only to accelerate the moving parts of mechanisms. Some motors (in the lower HP range) may be already with star connected stator for their normal operation. Star delta starting may also not be the solution for starting, if the supply system is still too weak for the proposed size of the motor. In my experience, unless the client has a preference I will generally start motors under 7.5kW DOL, above this Star-Delta or a variable frequency drive (VFD) with a by-pass contactor for pumps etc that only require to run at full speed, depending again on client preference and generator capability. If I remember correctly the largest motors I've had to start were about 300kW, FLA of about 500A at 440v, not a surprise the client wanted a VFD start. When designing new vessel systems or replacing existing equipment the sparky will generally want to see a load schedule or tell you what power/ current you have to work within.. So it's usually not a big deal.